Home Politics ¡Sal de Ese Cuerpo, Pablo Medina! ¡Sal de Ese Cuerpo, Pablo Medina! 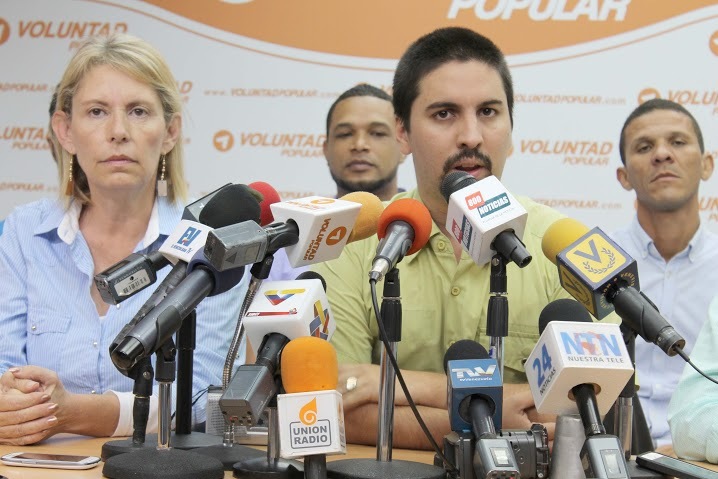 Some very strange things are happening to Venezuelan political discourse. These days, our radical right-wingers sound more or less exactly like…Pablo Medina! “El planteamiento que hacemos es que se haga una auditoria pública a la deuda externa, tenemos que saber cómo se contrajo esa deuda, quienes se están beneficiando de ella y porque el gobierno tiene como prioridad asumir una deuda irresponsable en lugar de plantear una solución real para resolver los problemas de los venezolanos”, afirmó el coordinador nacional político adjunto de Voluntad Popular, Freddy Guevara. Guevara invitó a los venezolanos a recordar y pensar el por qué si el ex presidente Hugo Chávez canceló la deuda externa en el año 2007, cómo es que a esta altura los venezolanos debemos pagar a finales de año 6 mil trescientos millones de dólares y para el año que viene cerca de 16 mil millones de dólares, solo en deuda externa. “El régimen de Nicolás Maduro no solamente acabó con la producción nacional y se robó los dólares que habían para importar los alimentos y las medicinas sino que además contrajo una deuda mil millonaria y prefiere pagar los contratos, los guisos y los préstamos, en lugar de pagar las deudas que tienen con el sector farmacéutico al cual le deben 2.300 millones de dólares, por lo que actualmente hay escasez de medicinas en el país y que solo con una pequeña parte de ese dinero que hay que pagar a finales de 2015 se podría abastecer nuevamente al país con medicinas”, afirmó. The kicker here is that he’s not talking about the Chinese fund, or any of the Russian bilateral deals, nothing like that. He’s not questioning some transparency black hole of a debt commitment. He’s talking about the regular old sovereign bonds the republic is supposed to pay this year. These are commitments submitted to and approved by the National Assembly: the most vanilla, above-board portion of our debt. VP is, in other words, picking out the only transparent bit of Venezuela’s debt obligations and very directly telling creditors: if we get power, we won’t pay you. I post this to underscore the importance of getting our head right around the question of state insolvency. If you misread the situation and think the Venezuelan state is broke the way the Greek state is broke, then yes, it makes good sense to question paying back your international debt. But Venezuela is very far from that kind of situation. Venezuela is a country that could re-establish rough fiscal balance relatively easily, with a couple of desk reforms on Forex and Gas pricing, alongside some new foreign loans – foreign loans, preferably, to be gotten from the people Freddy Guevara is now openly threatening. This is the exact opposite of what we should be doing. Opposition politicians need to be the adults in the room. They need to put on a suit and play the part of the sensible, technocratic alternative to a horrendously irresponsible government. They should be making the kinds of soothing noises that reassure powerful people whose backing they will need if they want to pull off some kind of orderly transition: people in Fuerte Tiuna, in Itamaraty, in Foggy Bottom and, yes, on Wall Street too. Instead, they’re ranting in short-sleeved shirts and channeling Pablo Medina, a fire-breathing extremist whose idea of economic stewardship was agitating for debt default. Look, right now, in Venezuela, there are two parties questioning the legitimacy of this debt: ¡Marea Socialista and Voluntad Popular! Have they really thought this through?! Previous articleFirst they came for Cuba. Then they came for Iran.